5. Machine-Type Communications Over 5G Systems: Challenges and Research Trends for Supporting Industrial CPS Applications. 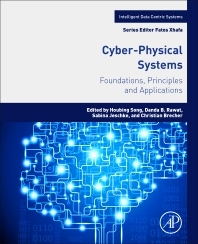 Cyber-Physical Systems: Foundations, Principles and Applications explores the core system science perspective needed to design and build complex cyber-physical systems. Using Systems Science’s underlying theories, such as probability theory, decision theory, game theory, organizational sociology, behavioral economics, and cognitive psychology, the book addresses foundational issues central across CPS applications, including System Design -- How to design CPS to be safe, secure, and resilient in rapidly evolving environments, System Verification -- How to develop effective metrics and methods to verify and certify large and complex CPS, Real-time Control and Adaptation -- How to achieve real-time dynamic control and behavior adaptation in a diverse environments, such as clouds and in network-challenged spaces, Manufacturing -- How to harness communication, computation, and control for developing new products, reducing product concepts to realizable designs, and producing integrated software-hardware systems at a pace far exceeding today's timeline. The book is part of the Intelligent Data-Centric Systems: Sensor-Collected Intelligence series edited by Fatos Xhafa, Technical University of Catalonia. Houbing Song, PhD, is an Assistant Professor of Electrical Engineering and Computer Science and the director of the Security and Optimization for Networked Globe Laboratory (SONG Lab) at the Embry-Riddle Aeronautical University, Florida. His research interests include cyber-physical systems, cybersecurity and privacy, internet of things, big data analytics, connected vehicles, smart health, wireless communications, and networking. Dr. Song has edited and authored several books in the field, including Cyber-Physical Systems: Foundations, Principles and Applications. Dr. Danda B. Rawat is an Associate Professor in the Department of Electrical Engineering & Computer Science, Founding Director of the Data Science and Cybersecurity Center (DSC2), Director of Graduate Cybersecurity Certificate Program and Founding Director of Cyber-security and Wireless Networking Innovations (CWiNs) Research Lab at Howard University, Washington, DC, USA. Dr. Rawat's research focuses on cybersecurity, machine learning and wireless networking for emerging networked systems including cyber-physical systems (energy, transportation, water, UAV), Internet-of-Things, smart cities, software defined systems and vehicular networks. His professional career comprises more than 15 years in academia, government, and industry. He has secured over $3 million in research funding from the US National Science Foundation, US Department of Homeland Security, and private Foundations. Dr. Rawat is the recipient of NSF Faculty Early Career Development (CAREER) Award in 2016, the US Air Force Research Laboratory (AFRL) Summer Faculty Visiting Fellowship in 2017, Outstanding Research Faculty Award (Award for Excellence in Scholarly Activity) at GSU in 2015, the Best Paper Award from BWCCA 2010 and Outstanding PhD Researcher in 2009. He has delivered over 10 Keynotes and invited speeches at international conferences and workshops. Dr. Rawat has published over 150 scientific/technical articles and 8 books. He has been serving as an Editor/Guest Editor for over 20 international journals. He has been in Organizing Committees for several IEEE flagship conferences such as IEEE INFOCOM 2015-2018, IEEE CNS 2017, IEEE ICC, IEEE GLOBECOM, IEEE CCNC 2016-2018, ICNC 2017/2018, IEEE AINA 2015/2016, and so on. He served as a technical program committee (TPC) member for several international conferences including IEEE INFOCOM, IEEE GLOBECOM, IEEE CCNC, IEEE GreenCom, IEEE AINA, IEEE ICC, IEEE WCNC and IEEE VTC conferences. He served as a Vice Chair of the Executive Committee of the IEEE Savannah Section from 2013 to 2017. Dr. Rawat received the Ph.D. in Electrical and Computer Engineering from Old Dominion University, Norfolk, Virginia. Dr. Rawat is a Senior Member of IEEE and ACM, a member of ASEE. and a Fellow of the Institution of Engineering and Technology (IET)..
Sabina Jeschke is head of the institute cluster IMA/ZLW & IfU at the RWTH Aachen University since 2009. She studied Physics, Computer Science and Mathematics at the Berlin University of Technology. After research stays at the NASA Ames Research Center/ California and the Georgia Institute of Technology/Atlanta, she gained a doctorate on “Mathematics in Virtual Knowledge Environments” in 2004. Following a junior professorship (2005-2007) at the TU Berlin with the construction and direction of its media center, she was head of the Institute of Information Technology Services (IITS) for electrical engineering at the University of Stuttgart from May 2007 to May 2009, where she was also the director of the Central Information Technology Services (RUS) at the same time. Her research areas are inter alia distributed artificial intelligence, robotics and automation, traffic & mobility, virtual worlds and innovation & future research. Sabina Jeschke is vice dean of the Faculty of Mechanical Engineering of the RWTH Aachen University, chairwoman of the board of management of the VDI Aachen and member of the supervisory board of the Körber AG. She is a member and consultant of numerous committees and commissions, alumni of the German National Academic Foundation (Studienstiftung des deutschen Volkes), IEEE Senior and Fellow of the RWTH Aachen University. In July 2014, the Gesellschaft für Informatik (GI) honoured her with their award Deutschlands digitale Köpfe (Germany's digital heads). In September 2015 she was awarded the Nikola-Tesla Chain by the International Society of Engineering Pedagogy (IGIP) for her outstanding achievements in the field of engineering pedagogy. Prof. Dr.-Ing. Christian Brecher has been the Ordinary Professor for Machine Tools at the Laboratory for Machine Tools and Production Engineering (WZL) of the RWTH Aachen as well as the Director of the Department for Production Machines at the Fraunhofer Institute for Production Technology IPT since January 1, 2004. Further, he is CEO of the Cluster of Excellence “Integrative Production Technology for High-Wage Countries” that is funded by the German Research Foundation (DFG). After finishing his academic studies in mechanical engineering, he started his professional career first as a research assistant and later as a team leader in the department for machine investigation and evaluation at the WZL. From 1999 to April 2001, he was responsible for the department of machine tools in his capacity as a Senior Engineer. After a short spell as a consultant in the aviation industry, Professor Brecher was appointed in August 2001 as the Director for Development at the DS Technologie Werkzeugmaschinenbau GmbH, Mönchengladbach, where he bore the responsibility for construction and development until December 2003. Prof. Brecher has received numerous honours and awards including the Springorum Commemorative Coin, the Borchers Medal of the RWTH Aachen, the Scholarship Award of the Association of German Tool Manufacturers (Verein Deutscher Werkzeugmaschinenfabriken VDW) and the Otto Kienzle Memorial Coin of the Scientific Society for Production Technology (Wissenschaftliche Gesellschaft für Produktionstechnik WGP). Currently he is chairman of the scientific group for machines of CIRP, the International Academy for Production Engineering.